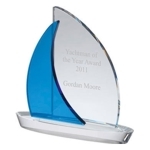 We stock a huge variety of Sailing Trophies for boat, yacht and Sailing Club competitions. 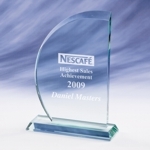 View our extensive selection online and don’t forget the personalised engraving for the lucky winners! 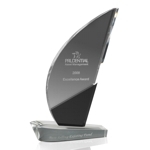 Our experienced craftsmen will ensure your replica yacht, boat or sailing award will be engraved professionally and sent as fast as possible – we guarantee delivery within 7 days. We have many clients from Sailing (dinghy) Clubs to large coastal Yacht Clubs. Most come back to us every year - please see our testimonials page! 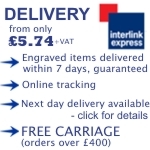 We are confident you will be delighted with our service. 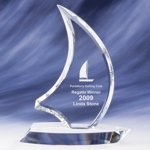 Our boating awards are available in various materials including resin and glass, so whatever your budget and taste we’ll have the perfect award for you. If you would like to know more about our offering of boating and yacht trophies please feel free call us on 0800 0355 277.